At this point, with all of the evidence that the media has presented against Jussie Smollett, it's hard to believe that his attack was not staged. However, a shocking twist occurred this morning when all of the charges were dropped against him. For so many charges to be mysteriously put on the side makes little sense unless there was inconclusive evidence in the case. While the majority of us are still confused as to how Jussie won't be punished at all for allegedly orchestrating an attack on himself, others have already moved on to trashing him on social media. After it was announced that Smollett would not be serving any jail time for the bizarre hate crime against himself, people started reacting online and most of the first impressions were negative. There has been a mix of people trashing the Chicago Police Department for their decision to let him go and others going straight after the Empire actor. Regardless of the outcome of the case, it's hard to believe that Jussie can reintegrate himself as a successful actor. Public perception isn't exactly too strong for him right now so perhaps a little break could be beneficial. 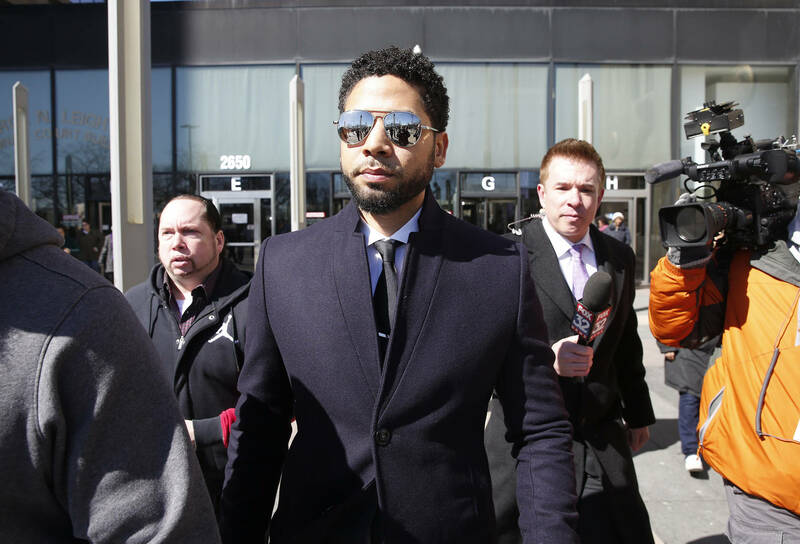 Take a look at some of the most provocative reactions to Smollett's charges being dropped below and let us know what your first thought was after you found out. Do you think Smollett will ever be able to fully repair his reputation?